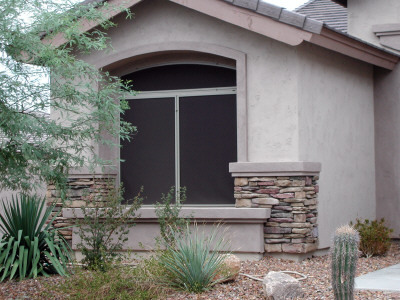 Here are a few shade screen pictures to give you an idea how nice they look and how they can enhance the beauty of your home. 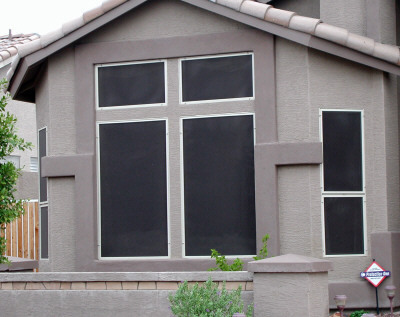 In the Phoenix, Mesa Arizona area feel free to contact me for a free estimate on all your shade screen needs. We can make new screens or re screen your existing frames. If you don't live in our service area you could try Home Advisor. This is a free service designed to connect homeowners with qualified contractors. 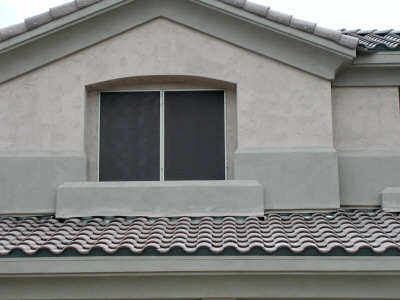 These shade screens were mounted on the second story of this home. 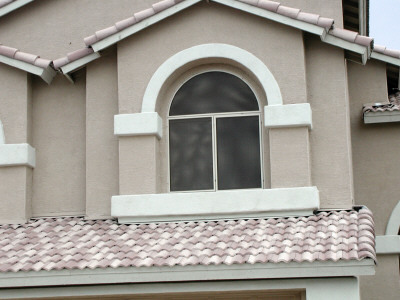 They used screen mullion to duplicate the design of the window into the screen frame. Notice how the frame color matches the home. These simple rectangle frames look very nice also. 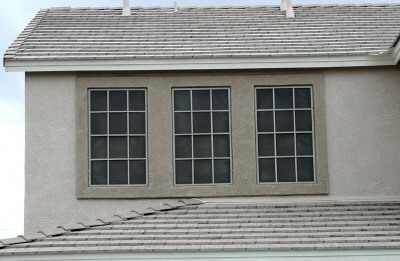 This is a west facing window in Arizona. The afternoon sun would bake this room without the solar screen. The white frames on this home provide a nice accent to highlight the windows. I love the custom look the mullion has given this window. 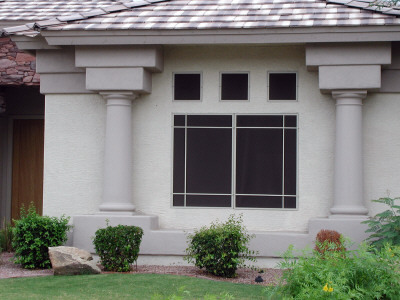 The color also blends well with the pillars and the overall look of the home. The custom half circle screens are a little tough to do but they sure look nice. The color is a perfect match for this home. The top screen on these windows is again hard to do but what a great look.